The flick knives, cyanide pills and gizmo-packed cars were great, but the opening scene of Thunderball features the first, “Nah, it’s getting silly now. It’ll be invisible cars next!”, moment of the Bond film franchise. However, not only was the Jetpack a possibility, it even had a proper technical name – it was a Bell Rocket Belt. Or, to provide it a more worthy description, ‘A low powered rocket propulsion device’. Bell Aerosystems had developed a “man rocket pack” that would enable someone willing to strap explosive devices onto their backs and fly in the sky, to pretty much do exactly what Bond does; escape the scene of the caper in a short period of time, using hydrogen peroxide as fuel. It was under instruction by the US Army, but its limited scope failed to see it develop as an effective device for military usage. 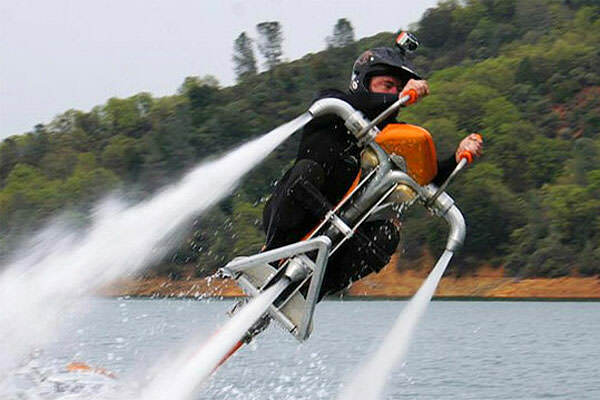 In 2011, a remote-controlled Jetpack was developed by New Zealand based Martin Aircraft, whose prototype reached an altitude of 5,000 feet and cruised at 62 miles per hour. It also stayed in the air for 30 minutes. The device is not yet for sale. 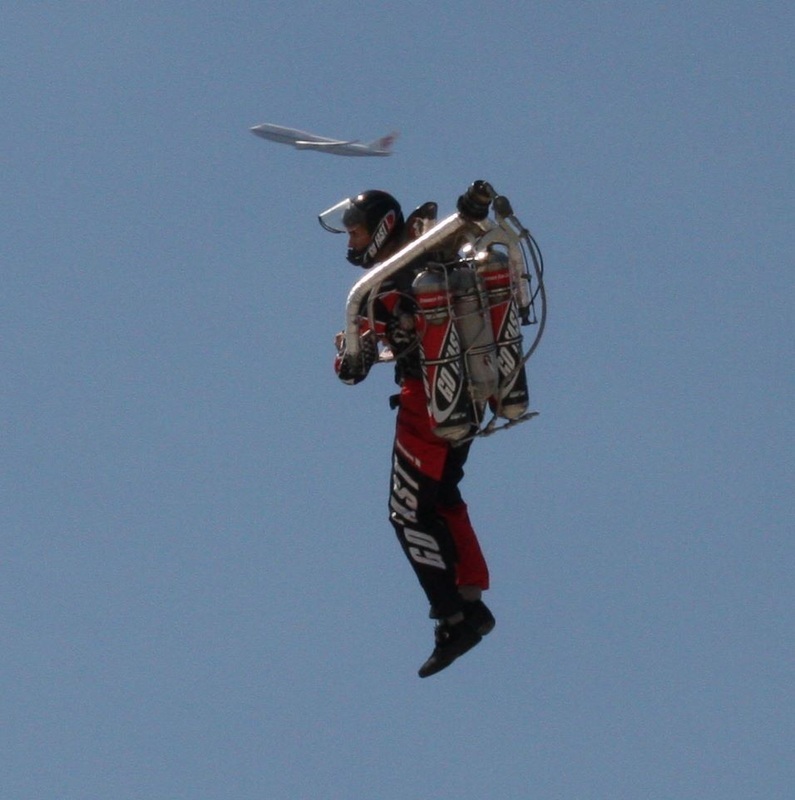 The goal of Jet PI was to build a lighter, faster, more economical and longer-flying jet pack than the original built by Bell Aerosystems in the 1960's, and the successors, which have been based on that model. With incredible passion, determination and an extreme amount of work, combined with modern technologies, materials and engineering, Jet PI is developing the world's most advanced personal flying machines. It will cost you around £100,000 give or take, and you will need to get some training with them first. 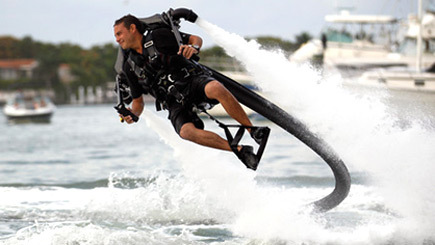 Unlike a regular Jet Pack this water-based vehicle is incredibly safe because its supply hose limits altitude. Besides, the only thing you’re liable to damage upon hitting the water is your ego – and if you can afford a personal Jet Pack that’s probably unbreakable anyway. 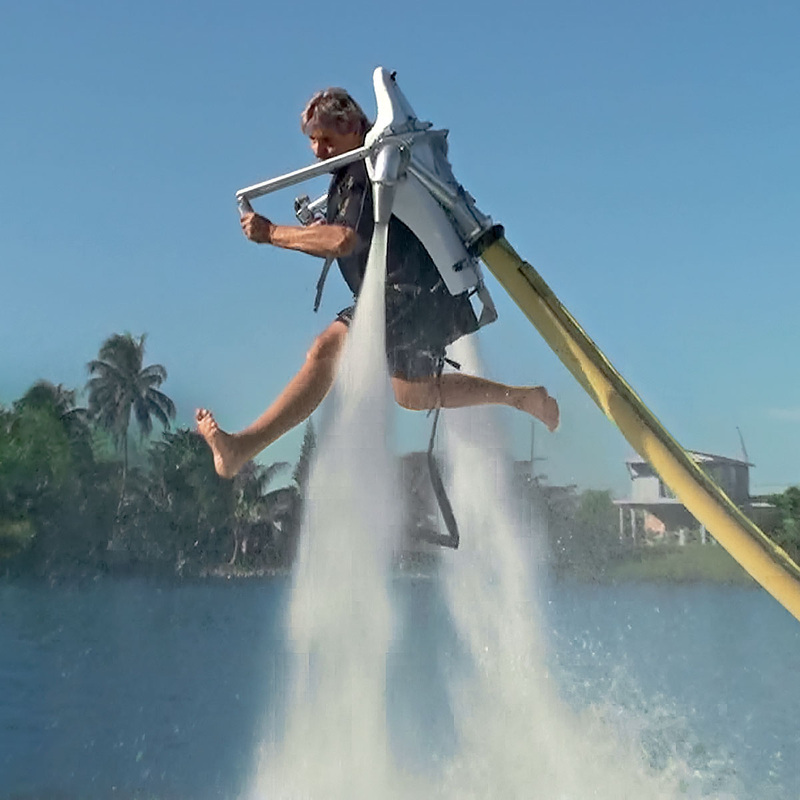 Ideal for maverick millionaires, hotel owners, Bond wannabes, watersports enthusiasts and anyone who’s ever dreamt of flying, the JetLev is probably the most WTF?! product we’ve ever stocked. It costs £115,000 and you are likely to see them on holiday at some stage. They have already been spotted in Venice and the Caymans by folk we have met. 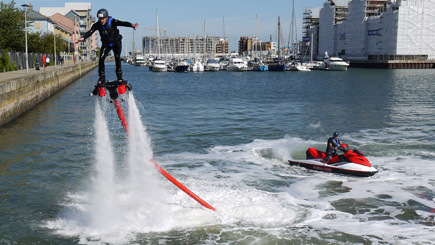 Although there are many experience day companies, not all provide a Jet Pack style of Experience. 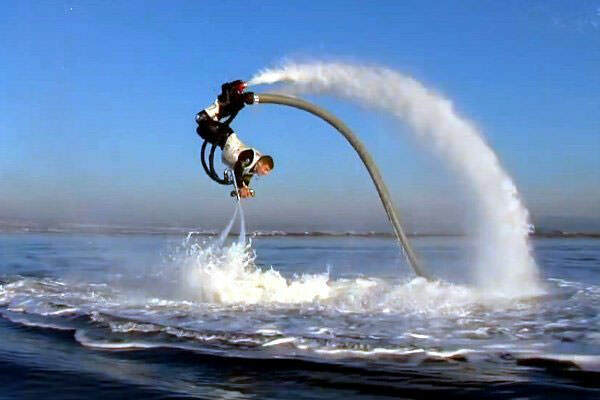 Two of the biggest companies however, provide both a Flyboard and a Water Jet Pack Experience.